Together, striving to be the best we can be! 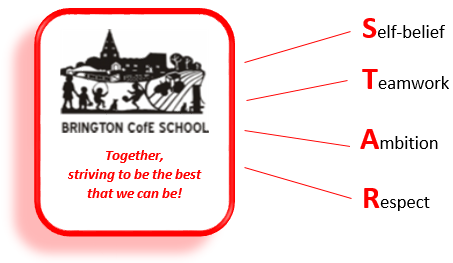 Continually striving for excellence in all aspects of school life, enabling all who come here to be happy, healthy and high achieving. The Christian faith is the foundation of our school ethos and we learn in an environment which upholds the values of Christianity, and in particular, love and forgiveness, whilst developing sensitivity and understanding of the religious beliefs and culture of others. Our school aims to serve its community by providing an education of the highest quality within the context of Christian belief and practice. It encourages an understanding of the meaning and significance of faith and promotes Christian values through the experience it offers to all its pupils. Recognising its historic foundation, the school will preserve and develop its religious character in accordance with the principles of the Church of England and in partnership with the churches at parish and Diocesan level.